Paul Kane, a poet, teaches at Vassar College. He is the co-editor of the Library of America’s Ralph Waldo Emerson: Complete Poems and Translations, and editor of Poetry of the American Renaissance, published by Braziller. 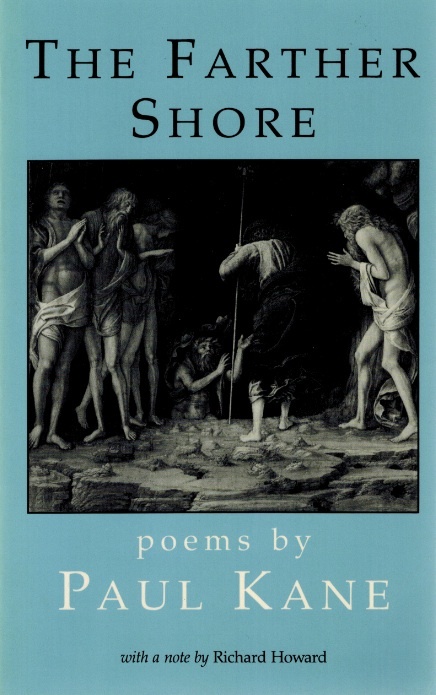 "The Farther Shore is eloquent, accomplished, fully articulated poetry. ... Kane's poet voice is grave, gentle, perfectly modulated and almost infinitely sensitive and accurate." Harold Bloom. "Forty-two disturbingly quiet poems, mesmerizing in their opaqueness, about what it is like for us to live 'so far beneath the sky.' In Paul Kane's verse, a dark echo of Robert Frost is sounded in a thoroughly modern landscape." Joseph Brodsky.